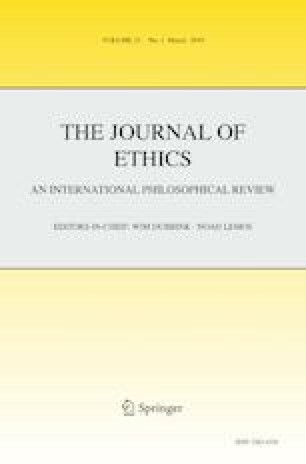 The globalism objection poses two distinct challenges to Aristotelian views of virtue. On the one hand, the consistency thesis demands that a virtue is behaviorally expressed in a wide range of trait-relevant situations. On the other hand, the evaluative integration thesis suggests that the presence of one virtue increases the probability of other, similar virtues, posing a problem for Aristotle’s reciprocity of the virtues thesis. I show that, by contrast to contemporary Aristotelian views and views attributed to Aristotle, Aristotle’s own theory of virtue escapes the globalism objection. I address the consistency thesis by showing that each of Aristotle’s moral virtues are narrower than commonly assumed. I then address the evaluative integration thesis through a discussion of practical wisdom (phronēsis), showing that Aristotle believed one could fall short of perfect virtue (the perfect possession of each virtue united by practical wisdom), while still being fully virtuous (where one’s possession of practical wisdom may be local). The upshot is that, despite idealizations of virtue throughout the Nicomachean Ethics, Aristotle held a realistic account of virtue, one that is different from contemporary Aristotelian views, and one that is empirically adequate insofar as it allows for more than a few virtuous people. Doris, John. 2015a. Review of Christian B. Miller’s Character and Moral Psychology. Notre Dame Philosophical Reviews. http://ndpr.nd.edu/news/character-and-moral-psychology/. Accessed 18 August 2017.